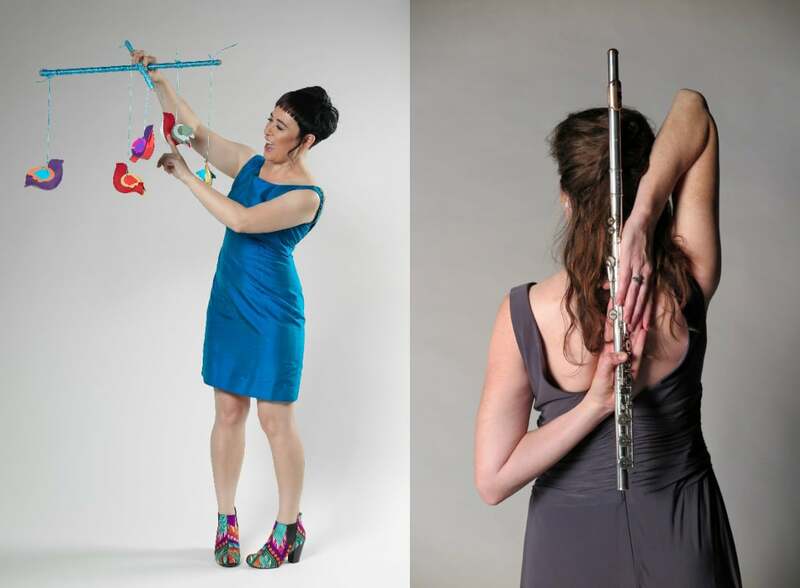 Following Twilight Musical Dialogues’ musical journeys to Germany, the Former Kingdom of Bohemia and Russia this year, Flautist and Artistic Director Sally Walker celebrates our diverse Australian culture with Pianist and Composer Sally Whitwell at 7pm, September 15th. The established Twilight Musical Dialogues series pairs the intimate setting of the Adamstown Uniting Church with a welcoming atmosphere, engaging the audience in exploring Australian chamber works by Boyd, Meurant, Vine and Whitwell with two of Australia’s highly accomplished instrumentalists. Walker and Whitwell together is a performance experience not to be missed. This recital also features young artists Sarah Monk on the Southern Indian bamboo flute accompanied by Nikhil Chandran and Worimi/Gamilaroi Singer/Songwriter Jacob Ridgeway. Adults $35, Concession (including seniors and under 30’s) $20, Family (4) $80. Although ticket sales (cash only) may be available on the night pending availability, tickets are selling fast; please avoid disappointment with this eagerly anticipated concert through pre-booking. Sally Walker was Grand-finalist in the De Lorenzo International Flute Competition (Italy), won 2nd Prize in the Kuhlau International Flute Competition (Germany) and has performed with the Berlin Philharmonic Orchestra, Leipzig Gewandhaus Orchestra, City of Birmingham Orchestra and the Australian Chamber Orchestra in Festivals including Salzburg, Lucerne, Edinburgh, Tanglewood and the London Proms. In 2006 she was appointed Lecturer of Flute at the University of Newcastle. She has released three CDs with pianist Philip Mayers: French Miniatures, Kaleidoscope and Hemispheres and has premiered numerous works written by Australian composers for her. Since Twilight Musical Dialogues “Russia”, Sally Walker has been busy with recording the “Mountain” CD with ACO (with whom she is presently on tour), performing a Renaissance/Baroque Flute recital together with the Nova Praetorians and harpsichordist Rosalind Halton for the Newcastle Music Festival and preparing for her September Hamer Hall performance of Elena Kats-Chernin’s Concerto for her. Award winning musician Sally Whitwell maintains a busy career as pianist, conductor, composer and educator from her base in Sydney, Australia. Sally is a regular solo recording artist with ABC Classics. Her albums Mad Rush: Solo Piano Music of Philip Glass and All Imperfect Things: Solo Piano Music of Michael Nyman have won ARIA Awards for Best Classical Album and Best Engineer (Virginia Read). Following performances of The Complete Piano Etudes by Philip Glass with the composer for Perth International Arts Festival, in Los Angeles and in New York, Sally’s recording of the same will be released in late 2017. Sally has recently returned from an extensive tour of the Baltic and Iceland with Gondwana Choirs, where they performed her original work Lux Aeterna. She has composed works for Ensemble Offspring, Acacia Quartet, Plexus Ensemble, Juice Vocal Ensemble, and Newcastle’s own Hunter Singers amongst many others. She is looking forward to upcoming premieres by Bellingen Youth Orchestra, by recorder virtuoso Alicia Crossley, and is currently in rehearsal for the premiere workshop production of her stage musical Unrequited, co-written with writer Emma Grey. The novel, incorporating Sally’s original song lyrics, will be released by Harper Collins in October. Sarah graduated with a Bachelor of Visual Art from the ANU in 2007, and a Bachelor of Music in Flute from University of Newcastle under the tutelage of Sally Walker 2017. She won the Joy Ingall Scholarship 2016 which enabled her to pursue research in Chennai, India. There she studied Carnatic music and the bamboo flute with Shashank Subramanyam. Her interest in Carnatic music was initially triggered by her travels to India and through ongoing collaborations with fellow musician Nikhil Chandran, who studies Carnatic music with Dr N. Ramanathan. Nikhil moved to Australia from India in 2009 at the age of 17. He completed his Bachelor of music in Voice, 2016 and is now pursuing Honours in Music. Sarah and Nikhil have both been founding members of Newcastle’s experimental new music group Tone Camerata. Jacob was born and bred in Port Stephens, NSW and is a Worimi/Gamilaroi Singer/Songwriter.He is a 2016 graduate of the National Aboriginal Centre of Performing Arts (ACPA) in Brisbane and is currently studying Music at the University of Newcastle. In 2014 Jacob was selected to sing “My Island Home” with the backing of the QPAC choir, William Barton and Indigenous Dance Groups for the climax of the G20 opening. Jacob is a Country/Soul artist and cites his musical inspirations as Troy Cassar-Daley, Keith Urban, Rascal Flatts, Justin Timberlake and Boyz II Men. He is also inspired by songwriters such as Babyface, Ryan Tedder, Claude Kelly and Hillary Lindsay amongst other inspirations. Jacob’s works are from his life experiences, observations and his love of the great outdoors.